PROKERA® is a range of biologic corneal bandage devices that can be used to treat and promote the healing of several different eye diseases. PROKERA® devices are widely accepted by ophthalmologists as the new standard in corneal healing and treatment. And many more ocular surface diseases. PROKERA® devices come in a few different types and sizes, such as PROKERA® SLIM, PROKERA® and PROKERA® PLUS. PROKERA® devices are the only therapeutic corneal bandage devices approved by the FDA for wound healing. PROKERA devices contain amniotic membrane tissue, which has been preserved to ensure the tissue its full biologic activity remains intact. This amniotic membrane tissue contains therapeutic properties that help heal damage to the cornea, whether from disease or injury. 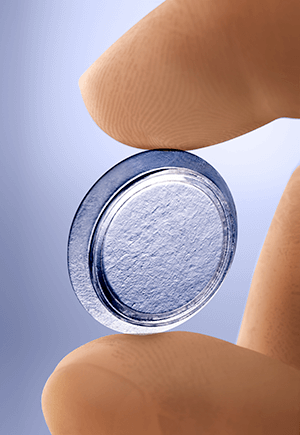 The PROKERA® device itself is similar to a scleral contact lens, a lens that covers the entire surface of the cornea and sclera (the white part of the eye). Insertion and removal of the PROKERA® device is simple. If needed, your doctor will apply a topical anesthetic. Your doctor will then hold your upper eyelid up, ask you to look down, and insert the PROKERA® under the upper eyelid. Your doctor will then pull your lower eyelid down and slide the PROKERA® under the lower eyelid. Your doctor will check to make sure the PROKERA® is centered. That’s it! Some patients may require a small suture in the eye to keep the PROKERA® in place and minimize discomfort. The amount of time that the PROKERA® device is in your eye depends on the severity of the disease/injury of the cornea. The device may be in your eye anywhere from a few days to weeks. Vision while the PROKERA® is in your eye will be cloudy, which may make activities such as driving and reading difficult. Are you interested in learning more about the PROKERA® devices? Call Stahl Eyecare Experts today!